﻿ Skinceuticals Exfoliating Scrub Review: Does It Work As Promised? SkinCeuticals Micro-Exfoliating Scrub claims to thoroughly cleanse the pores without drying or damaging the skin. Formulated for rough and congested skin, it exfoliates and removes the dead skin cells, helping to achieve a softer and smoother skin. 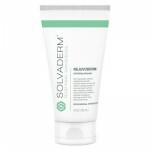 It works for almost all skin types with the exception of sensitive skin. The market is now filled with exfoliating products that claim to remove dead skin cells and keep your skin healthy and radiant. 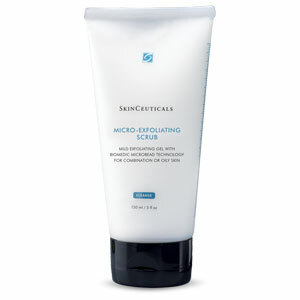 SkinCeuticals Micro-Exfoliating Scrub is made by a company that has been in the business since 1994. The only mission that they have is to improve skin health by producing skin care products that are backed by science. For best results, apply a small amount of the product to your damp face. Gently massage your face for a full minute then rinse the product thoroughly with water. A 150 ml tube of this micro-exfoliating scrub retails at a price of $30.00 in the SkinCeuticals official website and other third party retailer sites. Diatomaceous Earth microbeads: These naturally occurring soft beads contain high amounts of minerals like calcium, iron, and magnesium. These work by gently exfoliating the skin, leaving it clearer and smoother. Aloe Barbadensis: This ingredient is well-known for its moisturizing effects and helps keep the skin supple, soft and well hydrated. Triethanolamine: This works as a thickening agent and can help condition the skin. 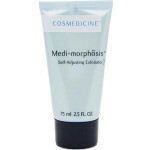 Cocamidopropyl Betaine: This aids in the cleansing and removal of impurities from the skin surface. Tocopheryl Acetate: This ingredient is a form of vitamin E which protects skin from UV rays. The scrub contains cleansing and hydrating ingredients. 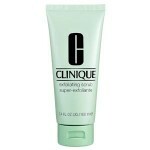 The product gently exfoliates the skin. The scrub softens and smoothens the skin. The product is not suitable for sensitive skin. 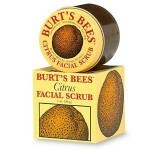 The scrub contains harmful paraben. The product may cause skin irritation. Exfoliation is a basic step in the daily skin care regimen that most skin care experts recommend. A good exfoliating scrub can help unclog the pores, remove impurities and dead skin cells while keeping the skin soft and supple. This is what the SkinCeuticals scrub promises to do. But before you consider buying this product, you may want to look at a few issues. First, this product is not formulated for sensitive skin, and it contains a few ingredients that may cause skin irritation which will do your skin more harm than good. Also, the product contains paraben which is considered to be a harmful chemical that may cause irreversible skin damage when used for a prolonged period of time. It is best that you continue looking for an exfoliating scrub that is formulated for sensitive skin and will not cause unwanted skin irritations. Furthermore, it would be best that you opt for scrubs that do not contain paraben that may give you unwanted results in the long run. When you buy SkinCeuticals Micro-Exfoliating Scrub bought from the company’s official website can be returned within 90 days after the date of purchase, considering that it is still in its original packaging with its original packing slip. You will receive a full refund to your credit card within 30 days after the return of the item. Any product that has been bought from clinics or other third retail party sites must be returned to the original point of purchase.